The Innovation Factory makes tough tools for tough jobs, right here in the U.S. They bring inventor ideas to life, and back their products with a no-hassle guarantee. The Trucker’s Friend is their one-handled alternative to having an unwieldy (and expensive) assortment of tools. 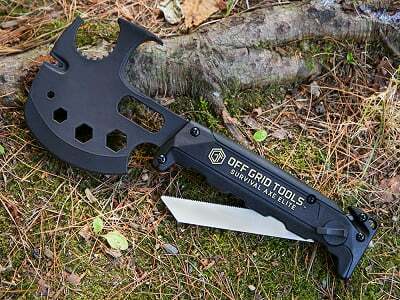 This survival multi-tool combines the functions of an axe, a claw hammer, a crowbar and more. 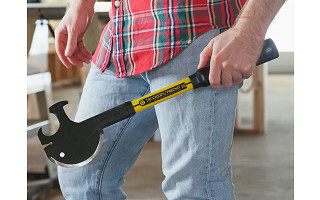 A great friend to campers, survivalists, even people working around the house and yard, the Trucker’s Friend will make you feel like a warrior who can pry, pull, pound, or hack just about anything. Inventor Gys van Beek is a 96-year-old tough guy and heralded World War II veteran. Gys saved countless Jewish lives—and repeatedly risked his own—with forged identity documents. President Eisenhower and Stephen Spielberg have honored his heroic efforts. Gys created the Trucker’s Friend to have handy in a garage or trunk, forged with heat-treated steel. Sharpen it back into shape when you need to. Keep it inside the optional leather sheath that fits like a glove. You’ll be prepared for all kinds of jobs and even emergencies. The Trucker’s Friend is made to withstand just about anything. That’s how Innovation Factory rolls, with a commitment to American manufacturing and the guts to stand behind every product—no questions asked. Hello everyone! I'd be happy to answer any questions you have about our Made in the USA multi-tool, Trucker's Friend. Manufacturing in the US is a challenge. Not just the price, but finding manufacturers who can do the work with excellent quality and provide the ancillary services to deliver a finished product. We persevered and came up with a solution. We’re passionate about Making in the USA and are hoping that The Grommet customers will be willing to pay a premium for American quality and support our workers. @Zac The tool looks great and the price is not too bad but, $24 for that tiny piece of leather is ridiculous. Hi Bert, as I've said throughout the thread, it is high-quality American-made leather designed to fit Trucker's Friend perfectly hence the higher price. We understand it might be out of the budget for some which is why it is so great that the tool itself comes with a plastic cover as a substitute! Why is this something we should all have? What are some of the everyday applications you see for this? The objective was to create a multi-tool that would offer convenience while doing a few important things really well. The product was created for professional truckers, but has attracted a diverse and passionate following among rescue workers, survivalists & preppers, hunters & other outdoor enthusiasts, active duty military, motorists, RV & off-roaders, farmers & ranchers… even Zombie Hunters. The tool is also useful for the handyman and on the job site and is often included in ‘Bug-Out Bags’ for its general utility as well as for personal and home security in the event of natural (or man-made) disasters. In any situation that requires hacking, prying pulling or pounding you’ll be glad to have the Trucker’s Friend by your side. @Zac How can you get one of these to be used on "Walking Dead?" That would be great zombie killing product placement! Preaching to the choir, Bob! We'll see what we can do. The new spinoff show is starting soon so the opportunity is there! 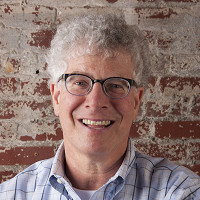 @Mike This is Marvin, inventor-in-Chief at the Innovation Factory. Would love any intro's to the Walking Dead or some of the many other great 'zombie' shows. Zombie Hunters seems to love the Trucker's Friend. But we don't have any 'hollywood' connections. Trucker’s Friend is made in the US. How important was it for you in making that happen? The mother of Marvin, our inventor-in-chief, was born in the Warsaw Ghetto but survived (primarily through luck and the foresight of her parents) to become a citizen of the United States. Life was not always easy for Jewish immigrants in the 40's, but his mother recognized and admired the extraordinary moral character of the American People. He shares his mother (and father’s) passion and feels strongly the need to support American manufacturing - but not out of a sense of narrow patriotism. Rather, he and the rest of us hope to strengthen the economic foundation of America so that it can continue (with all of its failings and miss-steps) to serve as a light for other nations -and hopefully to provide a moral compass for Planet Earth for generations to come. @Zac Kudos to you all. Support the country and its people. Thank you fo helping to keep the jobs here, and making a super wicked product. I will be getting one, or three, and also showcasing this on my website. I could sure split some Zombie skulls with that!!! You need to add a .410 shotgun in the handle and it would be perfect to turn back the marauding Zombie hordes. ! Not a bad idea, Joaseph! Unless you're dealing with zombies that are attracted to sound. In that case the ol' double tap method with a fore- and backhand swing of the Trucker's Friend will be a lifesaver. I know it would depend on what you are chopping, but how well does it keep its edge and how easy is sharpening? Hi Jonnye, sharpening is very easy and the cast alloy steel holds up quite well. We were all quite impressed with how durable it is! @Jonnye The hardened tool steel will keep an edge through quite a bit of usage. The blade can be maintained with a sharpening stone, or sharpened with a file. Any details on the specific alloy used and post heat treat hardness? Hi Julien, it is 9254. Hardness after heat treat is HRC50. Are there any "handedness" issues with this tool? Hi Nancylee, no there are not. Righties or southpaws will have no trouble with Trucker's friend! Hi Bobette, it weighs 2.24 lbs! Is this legal to have in your vehicle in all 50 states? Hi Robert, I don't believe so, but we'll look into it and let you know if it is. @Mike There is an interesting discussion about carrying camping tools on Yahoo. While the TF can certainly be used to cause bodily harm, it's intended for use as a serious hand tool. The question then is, whether it's illegal to carry an axe, hammer, crow bar, etc. in your vehicle. All of which are tools in common use. We haven't heard of a case where it was found to be a problem carrying these tools in your vehicle. That being said, if you were to walk down the street in a big city carrying the TF in a menacing fashion, you might raise concerns among law enforcement. Carry with pride, but use responsibly! Why does the "custon sheath" cost $24 dollars more? this should be a part of the original price of $70 dollars. Hi Rhett, you can stick with the plastic cover at the $70 price, but the custom sheath is made of high-quality American leather. Hence, the price increase. @Mike This is Marvin, inventor-in-chief. It's very expensive to make the TF and its accessories here in the USA. Could you guys make a video to show it in use? It looks nice, but I've got some reservations about how wieldy it's actually going to be for its purposes. @Travis yes, a video would be nice. i drove a truck, but still cannot make the connection to being a trucker, and needing this, besides smacking the tires with it? Hi Travis, is there a certain use you had in mind? @Mike Trucker Drivers use the tool for helping with tire chains, assembling (and breaking up) pallets, scooting around the back of the truck to quickly remove nails from the floor (hence the special v notch); self defense at truck stops, removing debris, emergency escape from the cab, and much more. Like another post written earlier, can we see a video of the tool in use showing not just how each tool works but that it works in a real world application. @Mike as a long time hiker and camper having used many an axe or hatchet, I think your blade is too thin to be an efficient cutting tool, needs to be more of a wedge shape to get a more productive cut. I'm also worried about using the other tool functions as shown in the video without the blade guard attached, looks like an accident waiting to happen. Hi D, it's the multitude of uses that make the Trucker's Friend a valuable tool. It will hold it's own while splitting and chopping through branches, brush, and small limbs. According to Marvin and his team, thousands of people use them safely every day without incident, but you can always cover up the blade for other jobs. I think this product is severely over-priced, especially with the sheath. It should be 69.95 with the sheath. There should not even be an option. Hi Bruce, thanks for the comment. The price is a reflection of a high-quality, durable product made in the USA. That is not a cheap endeavor. Of course the object of any business is to make money, but if this was a product that was "out to get you" with price we wouldn't launch it. We don't believe in that kind of practice. We absolutely do believe in putting a premium on American made products from small-scale Makers and Trucker's Friend fits that bill perfectly. @Mike I'm surprised by some of these comments. Of course you are "obviously trying to make some money". What business owner isn't? I'm not a trucker, or a huge outdoor survivalist, but I see many uses for this tool, even around the home and yard. Yes, it does cost more to make in the USA. That's because it is a quality product. America takes pride in what we manufacture here and it costs a bit more for better quality products. Quit complaining about the cost and support the good Ol' USA! @Bruce After reading a lot of comment threads here on The Grommet, I'm just about ready to give up. Either people slam on creators for *not* producing in the USA (and in turn making their products more affordable), or they slam on the creators *for* producing their products in the USA (and in turn having the products be somewhat more expensive). It's enough to make someone cringe at bringing anything out on the site at all. I appreciate the creator's willingness to take the harder path of making this in the USA, and knowing it can (and probably will) reduce total sales as a result. Not a lot of people will do this, and I think we need to be grateful for those willing to take the risk. Hi David, thanks very much for the comment. I'd repost the gif right above your comment if it wouldn't make it difficult for further commenters to scroll. But you are absolutely right! We can't thank you enough for the support! @Mike For what it's worth, I would pay extra for a made in USA tool like this. Just another data point. Glad to hear it, Peter! Thanks for the support! What is the total, over all length of the Trucker's friend? Hi Bob, it is 19.25" tip to tip! Howdy! 2:44 minute video, and not one second of it shows this tool in action...or explains its possibilities. And $25 for a tiny leather sheath? Bwahahaha! Hi Dennis, again the price of sheath has nothing to do with size and everything to do with a high-quality leather product Made in the USA. In terms seeing the uses, the video posted above goes above and beyond in showing how to use it. I am not saying it isn't high quality, and I am all for made in USA. I am just saying it is priced way too high. My truck is big enough to hold a crow bar, axe (bigger), and claw, for a much smaller amount of money. Hi Bruce, unfortunately a high-quality, made in the USA product tends to be more expensive than other alternatives. Luckily, with all the good the Maker Movement is doing in creating more affordable manufacturing avenues domestically, that shouldn't be the case for too much longer. And if you can find a crow bar, large axe, and claw Made in the USA for under $94 that is pretty impressive. You are quite the bargain hunter! @Mike The rule of thumb is that the retail price should be 6x the Cost of Goods (manufacturing) for the product. That provides the full margins necessary to support volume manufacturing, marketing, customer support and the rest. Given our COGS, we'd need to charge $120 or more if we applied this rule. But instead, we live on less in order for our tools to be as competitively priced in the market as possible. That's the sacrifice we make willingly to keep manufacturing here in the USA. We turned down an order for tens of thousands of pieces from a big box retailer; the catch was that they wanted to sell for a much lower price and to do so were willing to contract in China for the manufacturing of the Trucker's Friend. We decided instead to turn to The Grommet community. I'm confident this will prove a wise decision in the end. @Marvin You can't buy a quality USA made axe, hammer and pry bar for under $100. The same people who complain about illegal aliens coming over the border and cheap Chinese manufactures taking American jobs are complaining about the price of your handy product. Hi Carl, thanks for the comment. We don't want to make sweeping generalizations, but you're right about that first part. It's tough to find all of those tools made in the USA for that price. That's why the Trucker's Friend is so useful! I've owned and used a similar product (Hammer/Hatchet/Pry-Bar/Nail-Puller) for over 20 years. This just looks to have a much longer handle. Thanks for the comment, Brian! It's good to know the durability we talk about is justified! Lot's of interest here! I think that's great. But my question is about adding one more feature to the blade or perhaps it can already to this? I volunteer with a CERT and one of the things we are tasked with in any disaster is making sure the gas and water lines are shutoff in any damaged building. Will the tools hook perhaps do this? If no, perhaps a standard gas\water shutoff notch could be inserted into the head? Or perhaps an addition to the space below the hammer head could be changed to fit gas valves? Something to think about in a home emergency. Being able to shutoff gas and water after a disaster would be a welcome addition to fire\police\emergency workers like myself. One other comment made above was also on the mark. When using it for all the utility work the blade is dangerously exposed and is a hazard. A very small blade shield that straps around the head of tool but doesn't interfere with any of the functionality would help negate the danger. The leather cover is too big to make the blade safe while performing other functions. I like it a lot. Can any of the suggestions regarding the valve notch be incorporated in the near future. This is very close to being the "you only need one tool" tool. Hi Robert and Jeff, thanks very much for the feedback! You bring up some great ideas that I'm sure Innovation Factory will consider as they continue to develop this and other products. As far as the leather shield, Robert, it is fairly large, but not so large that it takes away the functionality of the other tools. You should have no trouble adjusting it to only block the blade. Can I open a bottle of beer with this? I'm sure one of those tools can get the job done! I like it, the ever so Politically Incorrect Jeremy Clarkson might call it a "hitch hikers nightmare"! 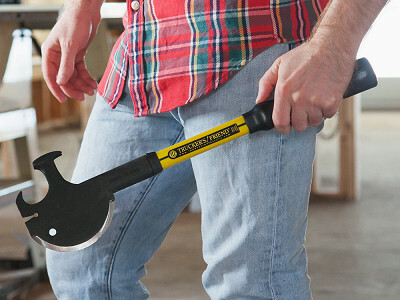 The Innovation Factory makes tough tools for tough jobs, right here in the U.S. They bring inventor ideas to life, and back their products with a no-hassle guarantee. The Trucker’s Friend is their one-handled alternative to having an unwieldy (and expensive) assortment of tools. This survival multi-tool combines the functions of an axe, a claw hammer, a crowbar and more. 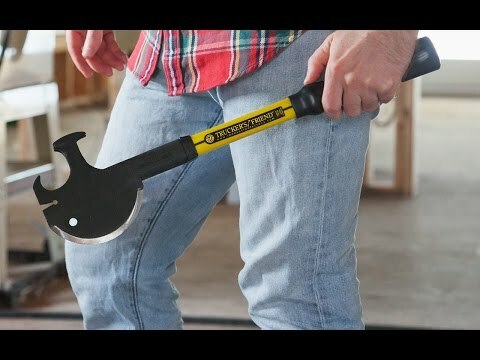 A great friend to campers, survivalists, even people working around the house and yard, the Trucker’s Friend will make you feel like a warrior who can pry, pull, pound, or hack just about anything. Inventor Gys van Beek is a 96-year-old tough guy and heralded World War II veteran. Gys saved countless Jewish lives—and repeatedly risked his own—with forged identity documents. President Eisenhower and Stephen Spielberg have honored his heroic efforts. Gys created the Trucker’s Friend to have handy in a garage or trunk, forged with heat-treated steel. Sharpen it back into shape when you need to. Keep it inside the optional leather sheath that fits like a glove. You’ll be prepared for all kinds of jobs and even emergencies.